One thing I love to do as a mom is involve my Harper in holiday decorating. 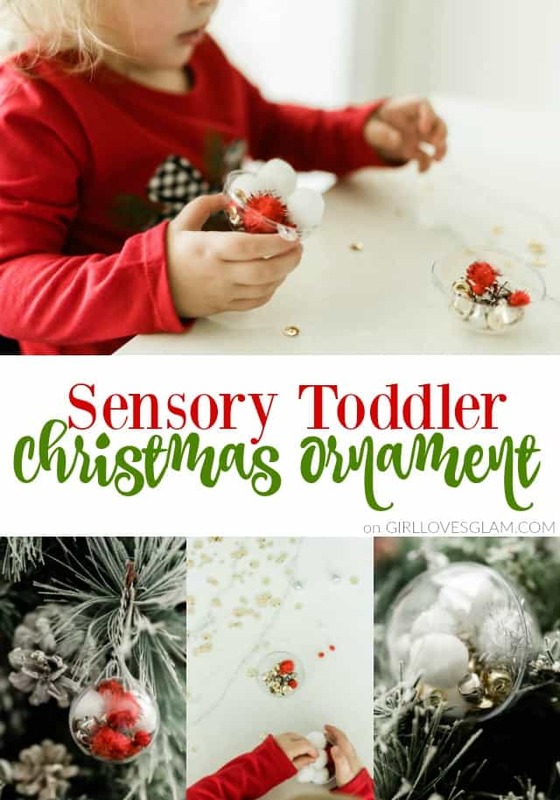 She loves to be included in the process and it is even better when we decorate with something that she has created herself! This year, we made this adorable handprint and footprint angel that can be displayed for years to come. I have seen a lot of articles being shared on social media lately about the importance of getting photos printed. It is thought that one day, the internet will crash and all of the photos we have shared online will be gone forever. That seems a little overly “doomsday” for me, but I am also a believer in being safe instead of sorry. I think it is important to get photos printed so that you can really cherish those memories, instead of them just sitting on your phone or computer. I take so many pictures, that there is just not space in my house to display them all, so I came up with another way to be able to enjoy our photos. 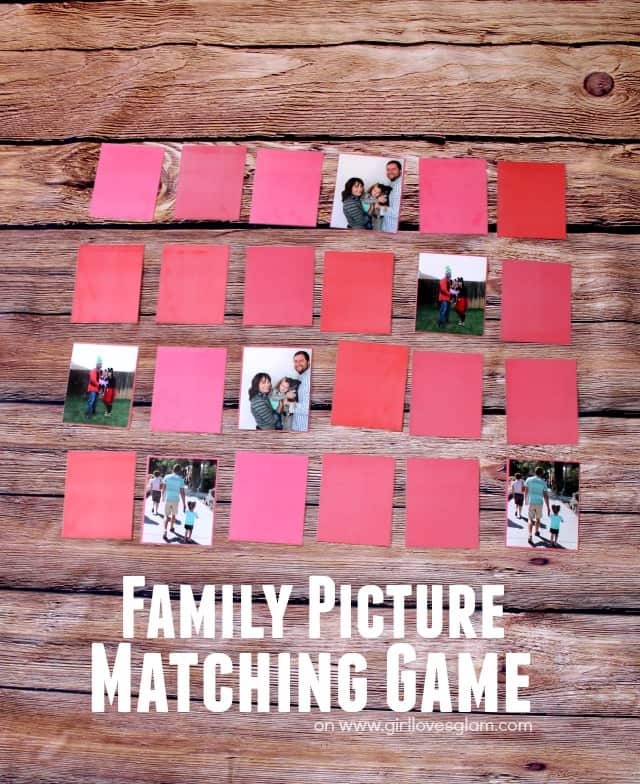 I made a matching game with our pictures! I absolutely love to craft with my toddler. Sometimes it can get pretty crazy, but that is part of the fun and the experience! 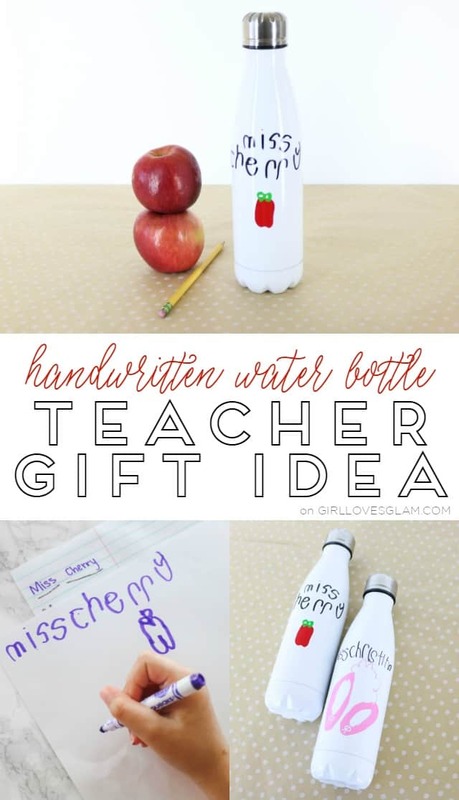 Before I was a mom, I would substitute teach at a special needs preschool every once and a while. 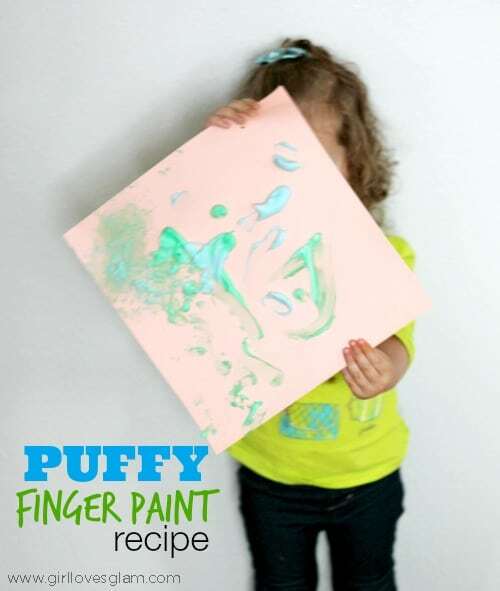 The teachers there taught me the coolest trick for making puffy finger paint! I couldn’t wait to use it with my own kids. It was so fun to do with my daughter. Although it took her a little while to warm up to the idea of putting her hands in the paint, she was a total natural once she really dug in and got her hands dirty! One really great part about this paint, is that it is made of just 3 ingredients that you probably already have at your house! 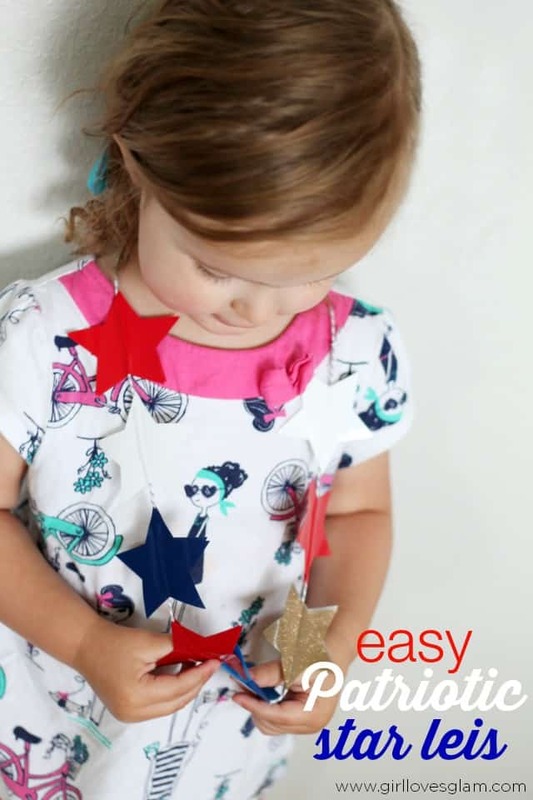 Easy Patriotic Star Leis and Giveaway! I have never seen a little girl get more excited to see American flags around town than my daughter. She gets SO excited to see them. She calls them “flags with stars” and has to tell us every time she sees one. Little does she know that there is a holiday just around the corner that she will be able see more “flags with stars” than she could ever dream of. She has also recently become obsessed with dress up and jewelry so I decided to marry the two ideas and create a fun little patriotic star lei for her to wear on the 4th of July (and everyday before and after that because she is pretty much obsessed) using vinyl! 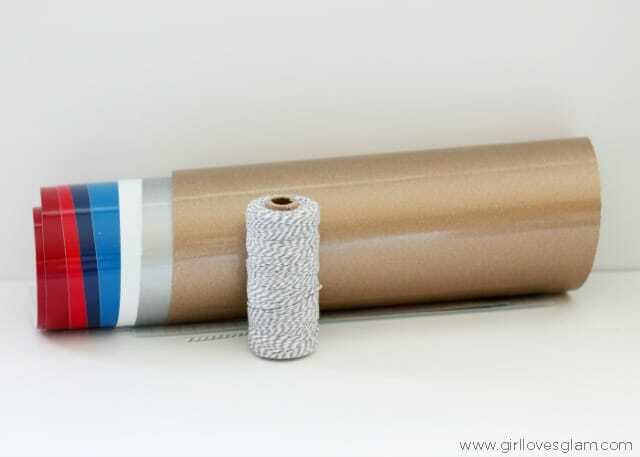 I chose vinyl because it is inexpensive, durable, and unlike the cheapo patriotic necklaces that get wet and then bleed color all over your shirt, the vinyl can handle a little water to them on a summer day too! 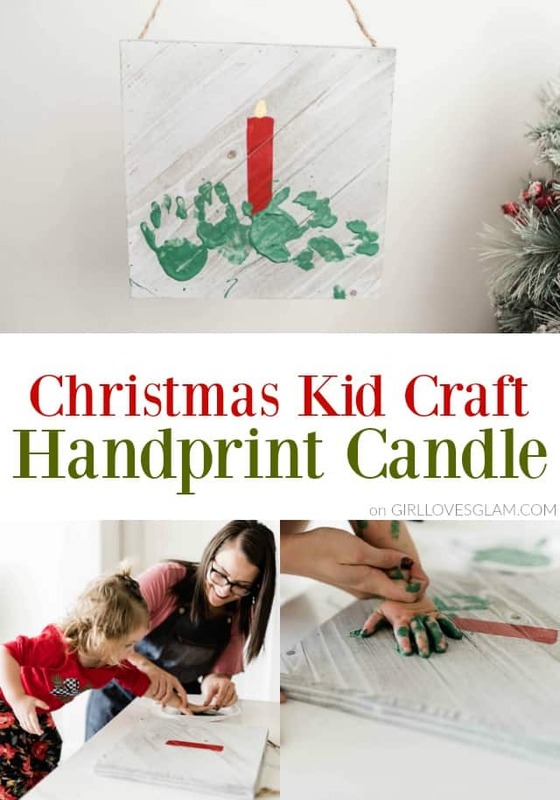 I am excited to be teaming up with Expressions Vinyl as one of their monthly ambassadors to bring you fun projects like this one that will give you fresh ideas for you to do with their awesome vinyl! 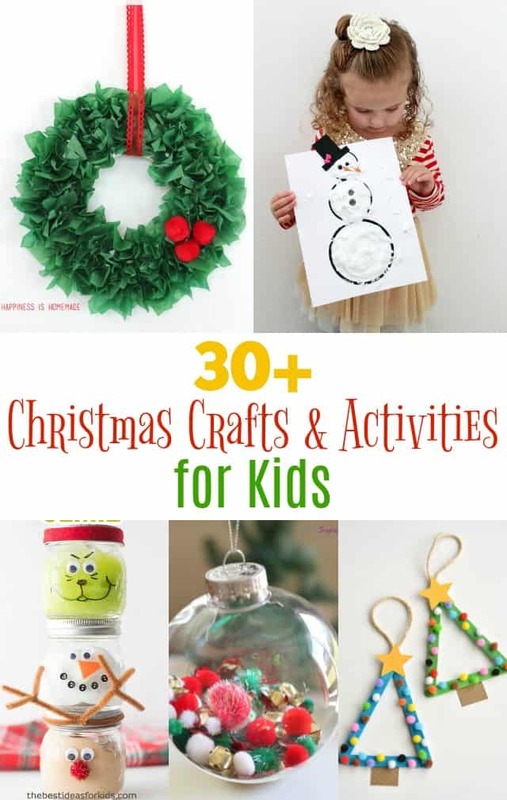 This is also a fun project because your kids can totally be involved! They are really quick and easy to make. 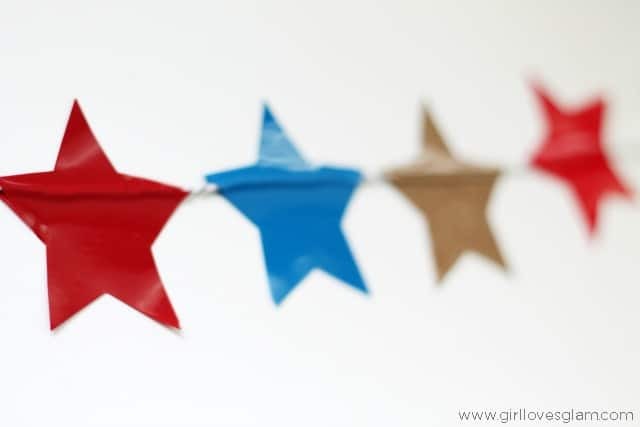 Cut stars out of each color using your electronic craft cutter. My stars are 2.5 inches each. 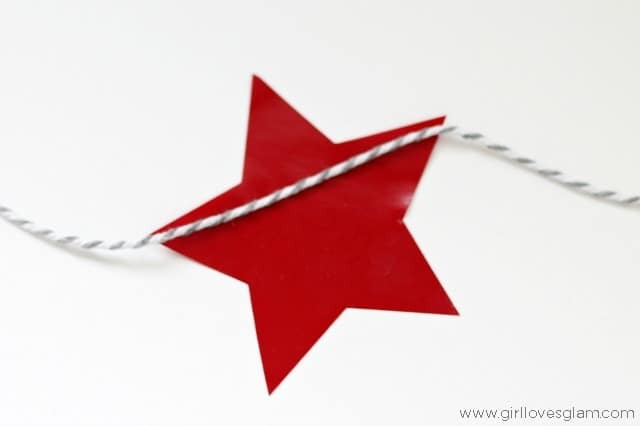 Lay one star with the sticky side up and lay the piece of twine on top of it. 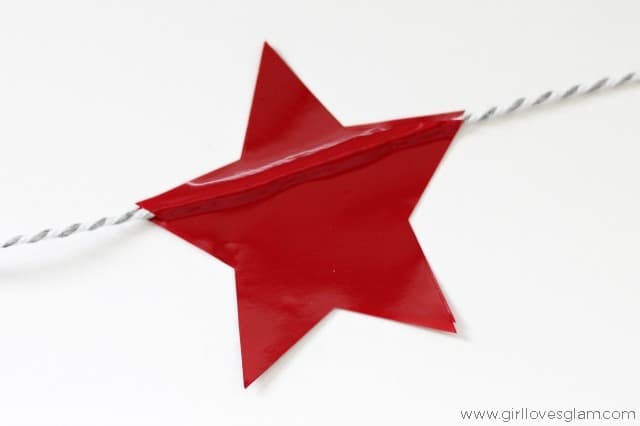 Take another piece of vinyl the same color and lay it over the top of the other star with the sticky sides touching each other. 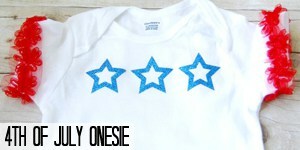 Repeat these steps until you have enough stars to cover the length you want your necklace to be. Tie the ends of the twine together to create your necklace and you are done! 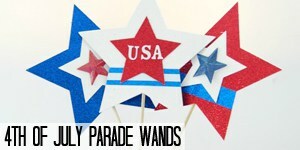 These are so quick and easy to make, you can make them for your entire neighborhood so your kids and all of their friends can sport them at the parade together. They would love to make them too! 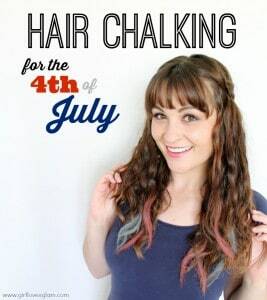 Make sure to check out THIS POST and THIS POST by the other two Expressions Vinyl ambassadors to get other great 4th of July ideas! To celebrate the beginning of our fun Expressions Vinyl Ambassador team, we are having a giveaway for a $75 gift card for Expressions Vinyl! To enter, use the Rafflecopter widget below. Good luck! 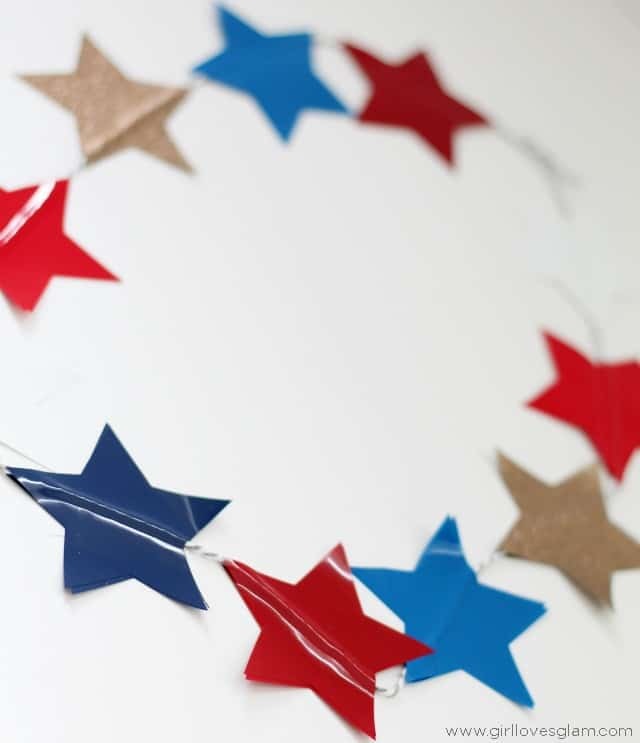 Don’t forget to check out these other awesome 4th of July projects too!